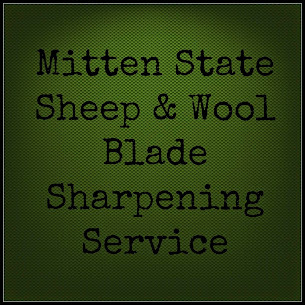 Mitten State Sheep & Wool : Whats a Liebster? Magnolia Holler(Missy), thank you for making such a nice gesture and nominating my blog for the Liebster Award. I am not quite sure what it is ;) but did read through the links that had been posted explaining more about it. I am glad that I got the "5" version! I was very glad there were not any such statements attached to this award and that it is done with the spirit of encouraging and recognizing bloggers. I wasn't sure if I was going to join in but decided what the heck..might as well not be a party pooper. 1. What is your favorite family tradition? Camping trips with my family. Aunt, Uncles, Grandparents and cousins all being there. Great time! 3. If you could travel in time, would you go into the future or back in time? I would go back in time to visit family that has passed on. I wouldn't want to know my future. 5. What is your favorite fruit or vegetable, and why? I like berries..raspberries, blueberries, strawberriesYou can add them to muffins, eat them frozen, make shakes, ice cream toppers or plain. What is your Favorite thing to do on weekends? If you could travel to any place you wanted to go where would it be? Thanks again Magnolia! It kept my mind off the cold weather and gave me chance to pass some cheer along. Such a surprise! Thanks for thinking of me, Sandra!